Gynecologic oncology is a unique subspecialty that provides for the participation in all parts of a patient's care. The opportunity to be involved in such a personal experience during a patient's life -- from the time of diagnosis through surgery to managing chemotherapy and participating in all aspects of a woman's care -- is an honor and privilege. My areas of expertise include robotic surgery for ovarian, endometrial and cervical malignancies, as well as sentinel lymph node mapping for endometrial, cervical and vulvar malignancies, and ovarian cancer biomarker research for the early detection and management of ovarian cancer. Richard G. Moore, M.D., FACOG, FACS, joined UR Medicine's Obstetrics and Gynecology as the Director of the Gynecologic Oncology Division on October 1, 2015. Dr. Moore will also lead Wilmot Cancer Institute's Gynecology Service Line and serve as Director of the Targeted Therapeutics Laboratory for Gynecologic Cancers. Dr. Moore comes to UR Medicine from Brown University and Women & Infants Hospital of Rhode Island. A native of Montreal, Quebec, Canada, Dr. Moore graduated from the University of Alberta Medical School in Edmonton. He completed his residency at Eastern Virginia Graduate School of Medicine, where he also served as Administrative Chief Resident. He completed a fellowship in Gynecologic Oncology and Breast Surgery at Women & Infants Hospital/Brown University. Dr. Moore joined the faculty at Women and Infants/Brown University after leaving fellowship. 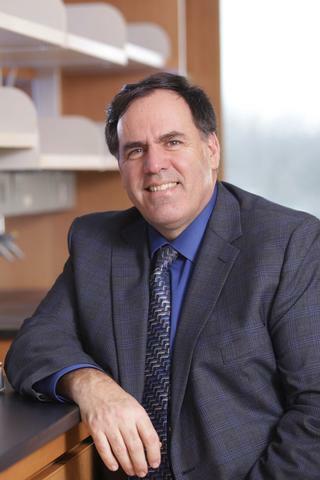 He served as the Associate Director of the Program in Women's Oncology since 2009 and was the Director of the Center for Biomarkers and Emerging Technology as well as the Molecular Therapeutics laboratory. Dr. Moore is board-certified in gynecologic oncology and is a fellow of the American College of Obstetricians and Gynecologists and a fellow of the American College of Surgeons. In addition to his clinical interest in ovarian and endometrial cancers, Dr. Moore is recognized internationally as a leading expert on the use of biomarkers to detect ovarian cancer. He led the team that developed the Risk of Ovarian Malignancy Algorithm (ROMA), a test that is cleared for use in Europe and Asia and was recently cleared by the U.S. Food and Drug Administration to detect ovarian cancer in women who have an ovarian cyst or pelvic mass. Dr. Moore will see patients at 125 Lattimore Road, Suite 258 and will perform surgeries at Highland Hospital, which has been awarded the Gold Seal of Approval by the Joint Commission and leads the state in the number of minimally invasive, robotic surgeries for gynecologic cancer performed each year. James NE, Cantillo E, Oliver MT, Rowswell-Turner RB, Ribeiro JR, Kim KK, Chichester CO, DiSilvestro PA, Moore RG, Singh RK, Yano N, Zhao TC. "HE4 suppresses the expression of osteopontin in mononuclear cells and compromises their cytotoxicity against ovarian cancer cells." Clinical and experimental immunology.. 2018 Sep 0; 193(3):327-340. Moore, R.G. ; Miller, M.C. ; Kim, K.; Sivangnanalingham, U.; DuBeshter, B.; Angel, C.; Thomas, S.G.; Seto, K.; Englert, D. ""Ember Trial: "Evaluation of multiple protein and molecular biomarkers to estimate risk of cancer in gynecology patients presenting with a pelvic mass."". 2018; Supplement 1: 178-179. Moore RG, Plante B, Hartnett E, Mitchel J, Raker CA, Vitek W, Eklund E, Lambert-Messerlian G. "Assessment of serum HE4 levels throughout the normal menstrual cycle." American journal of obstetrics and gynecology.. 2017 Jul 0; 217(1):53.e1-53.e9. Epub 2017 Feb 22.